During the IAC, the president of AEB Carlos Ganem and the director of space transportation Nilo Sergio de Oliveira visited the stand of the Ministry of Transport and CSA and discussed the Letter of Intent of co-operation in development of space technologies between AEB and the Czech Ministry of Transport. CSA and AEB have been preparing the LOI for some time and now won the support of the Minister of Transport to sign the agreement. CSA and AEB representatives have been developing their relationship since the establishment of CSA in 2006. 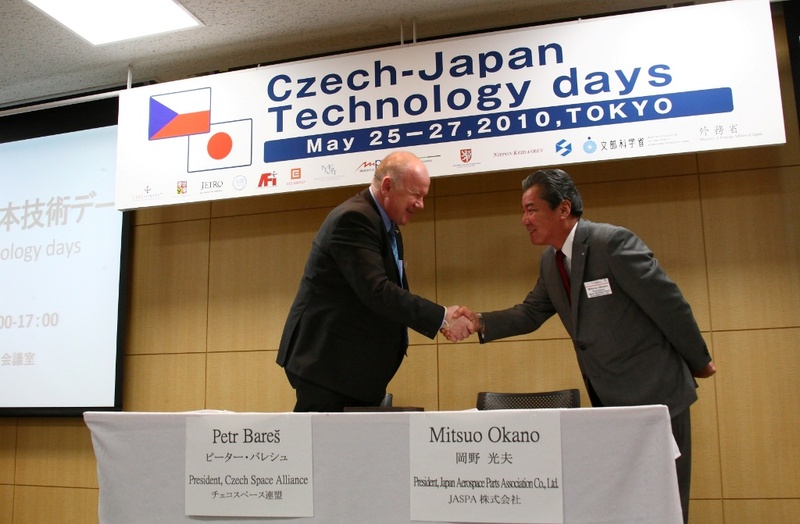 As a result of negotiations started by the alliance in Tokyo in December 2009, followed by further meetings in JAXA with the assistance of the Ministry of Transport during the Czech Japan Technology Days in May 2010, the Minister of Transport invited the president of JAXA Dr. Tachikawa to a meeting in Prague in conjunction with the Czech-Japan Space Seminar which the ministry prepared together with the Czech Space Alliance. 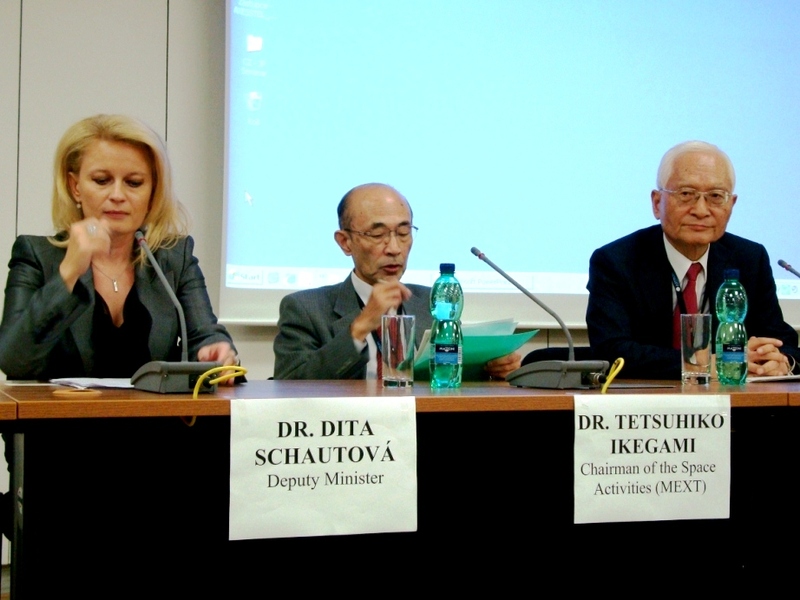 This was accepted and we enjoyed a star attendance at the seminar, inaugurated by the deputy minister, the JAXA president and the chairman of the Japanese government\'s Space Activities Commission Dr. Ikegami, who also accepted the personal invitation from the CSA president. The event was attended by the total of 17 Japanese space personalities from 10 institutions, including 9 JAXA staff, representatives of the JASPA/Manten association (with which CSA signed a co-operation agreement in May 2010), the Society of Japanese Aerospace Companies, NEC Space Systems etc. The Czech side was repesented by 38 attendants, from the Ministry of Transport, the Czech Senate, universities and 14 companies. 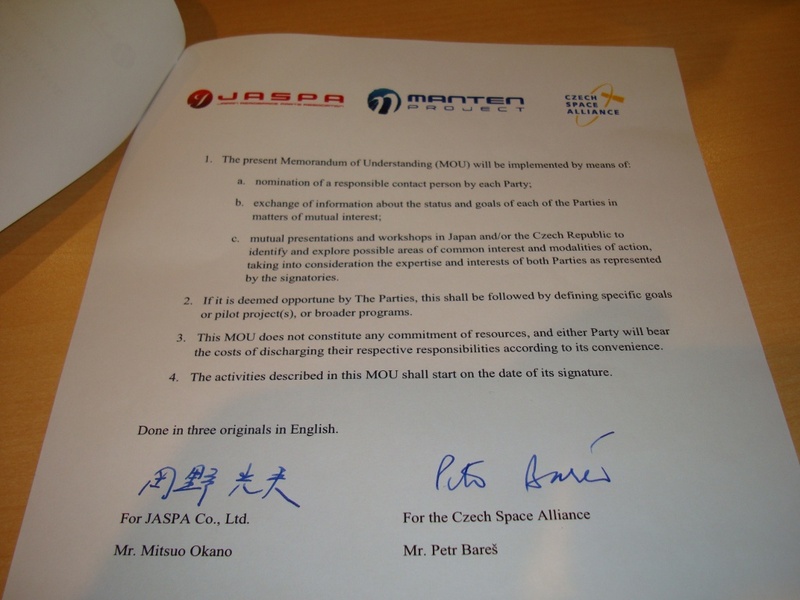 Thanks to support of the Ministry of Transport, the alliance had a stand at the International Astronautical Congress in Prague, which was took place 27th September - 1st October 2010. The stand was manned jointly by alliance members and representatives of the ministry. It enjoyed broad interest from the international community and lead to establishing man new, and re-inforcing existing contacts with companies and agencies, including the AIAA, the Brazilian Space Agency, NASA, ESA, Astrium etc. The CSA member 5M proudly announces, that it obtained the award "Despite the Crisis 2010", achieving the highest standing in the category Manufacturing Industry. The goal of the "Despite the Crisis" project was to identify and to promote SMEs which have succeeded in responding innovatively to the crisis, by seeking out new avenues for their business activities, and to demonstrate through authentic examples, new strategies and methods for responding to the adverse economic conditions. The promoter of this project is the Czech Chamber of Commerce, its principal professional partner PricewaterhouseCoopers Czech Republic and the main media partner the Czech Television. This, together with other awards received (Innovation of the Year, Innovative Company in the Zl�n region), demonstrates that the 5M Company holds a key leadership role in the field of composites. 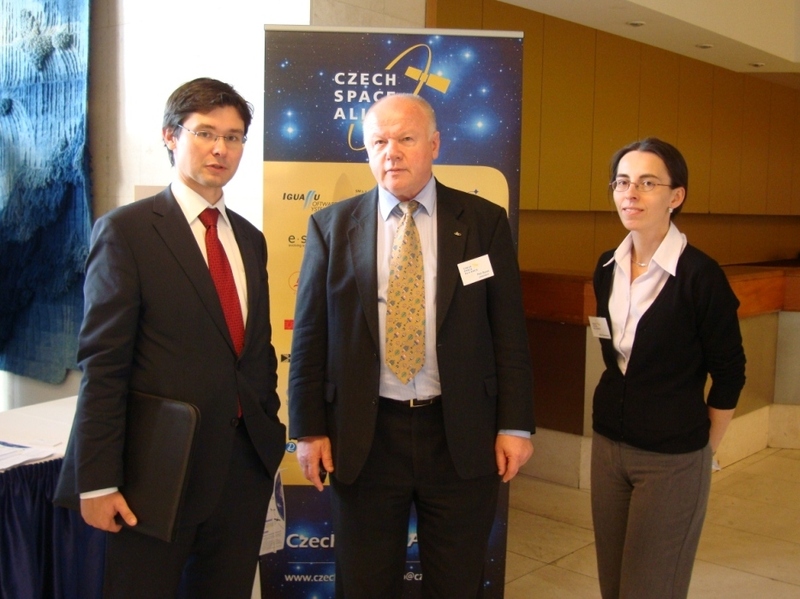 The Czech Space Alliance was able to secure a very important speaker, the Head of ESA Office for Support for New Member Countries and the secretary of the Czech-ESA Task Force, Mr. Pedro Baptista. Pedro, who spoke to an audience of 22 people, gave us a complete overview of the ESA budget structures and explained many details of all the thirteen technology programmes to which the Czech Republic subscribed. We are now much better equipped to deal with ITTs (Invitations to Tender) that attract our attention on EMITS and are aware of some of the conditions that we have to fulfil if we intend to participate. We also learnt about the global nature of space business and the need to look for partners and markets beyond the European borders. We hope to be able to attract Pedro to talk to us again at the next opportunity, so that we can start putting more pieces into the puzzle, which ESA is for us at this early stage of the Czech participation. Nevertheless, the excellent results which appear to be coming from the AO6052 opportunity show, that the Czech industry made big progress from the days of the Program for European Co-operating States (PECS). All the same, we still have a lot to learn about the specific ESA processes, which are essential for successful business in ESA technology development. This annual general meeting took place at the modern and recently expanded premises of our member Frentech in Brno. We were pleased to wellcome two new members, 5M and ANF Data. Among the positive issues that were discussed were the good results that our members achieved in the recent ESA tender AO6052. On the other side, we explored the unclear situation regarding the VAT exemption that those members who will be invoicing ESA under the AO6052 contracts require. Finally we discussed some intended actions for the next year, which should include visit to an ESA establishment. With the very helpful co-operation of the Czech embassy in Vienna and the Association of Austrian Space Industries Austrospace [www.austrospace.at], the alliance visitied Vienna for a networking seminar. The objective was mutual information of the status and focus of each country in the European Space Agency and of the experience and the track record of individual companies, with the view of looking for opportunities of co-operation in European space projects. The attendeees were wellcome by the commercial attache on behalf of the ambassador, who was out of the country. Following the presentations, the participants sampled some Czech culinary delicacies offered by the Embassy and mingled in bi-lateral conversations. Several potential areas of specific interest were discussed and these will be followed up by the involved parties to determine if they can develop into tangible joint projects. We thank our Austrian guests for their interest, and the Ambassador and his staff for providing us with such impressive venue, hospitality and professional organisation. SME4space is a pan-European association of national space industry alliances, created with active support of ESA SME Unit and the ESA DG. 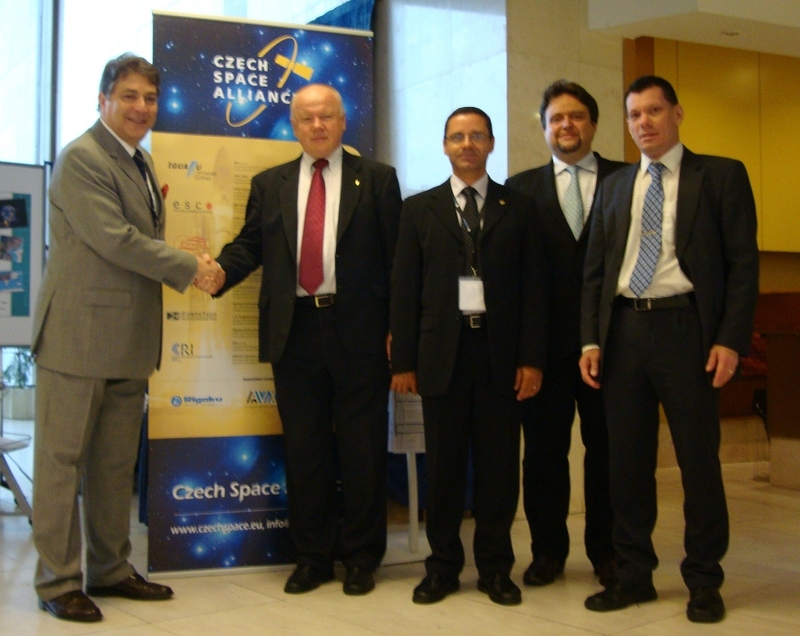 Czech Space Alliance is one of the founding members. Following a conference in Rome earlier this year, this even was focused on new states. Apart from established ESA member countries' representatives from UK and Italy, EADS Astrium, and the host, the Hungarian Space Office, the conference welcomed speakers from ROSA (Rumania), Poland and Slovenia. A very marked difference was noted in the optimism of the speakers representing the government and those from the industry. The presentations demonstrated that the government support and initiative towards ESA membership shows marked differences from country to country, with Romania being the most optimistic. Our other partners in the initial round of PECS, Hungary and Poland, are looking at a prolonged continuation of PECS. 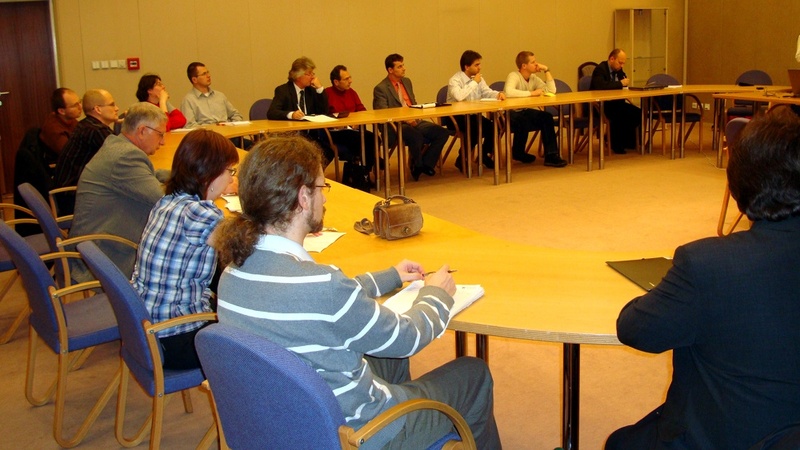 Meeting of Thales and Czech industry delegation – the participants. The Brazilian Ambassador invited us to her residence to meet a political and industrial delegation to the Czech Republic. We had the opportunity to meet the European representative of Embraer, as well as several important political personalities from the Brazilian government, who took great interest in our effort to conclude a co-operation agreement in space technology with the Brazilian space agency AEB. As last year in Prague, where we also presented the activities of the alliance, the CSA participated in this event in London, accompanying our representatives the Senator Nedoma, the Member of Parliament Hojda, and the government commissioner for the Galileo office in Prague Dobes. 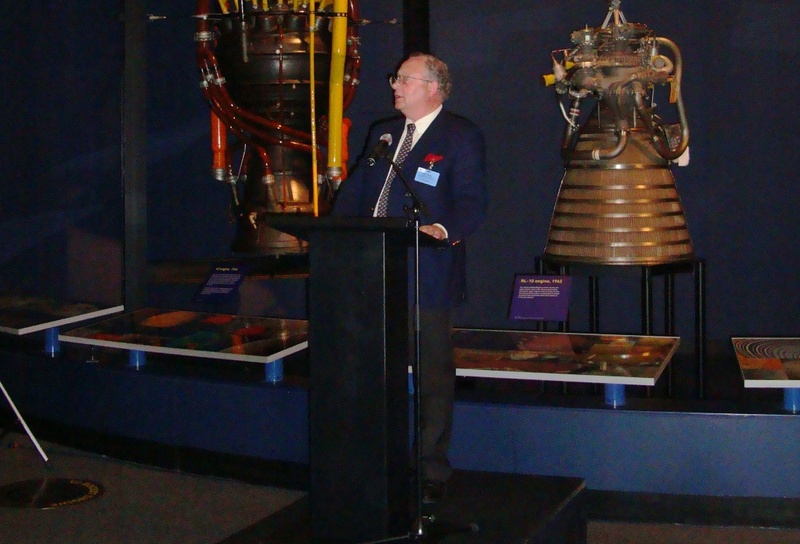 The event started by a very thematic reception in the space exhibition of the Science Museum. Very interesting presentations came for instance from the ESA DG, who suggested that we should switch off all the satellites for a while so that the public realises how much of their life is made easier by space technology. The representatives of the British industry and the BNSC reported among other things about the advanced stage of discussions about replacing the BNSC by a British Space Agency. The conclusions of the event are reachable [here] . Ian Taylor (MP) wellcomes the EISC participants in the Science Museum. On the initiative of H.E. 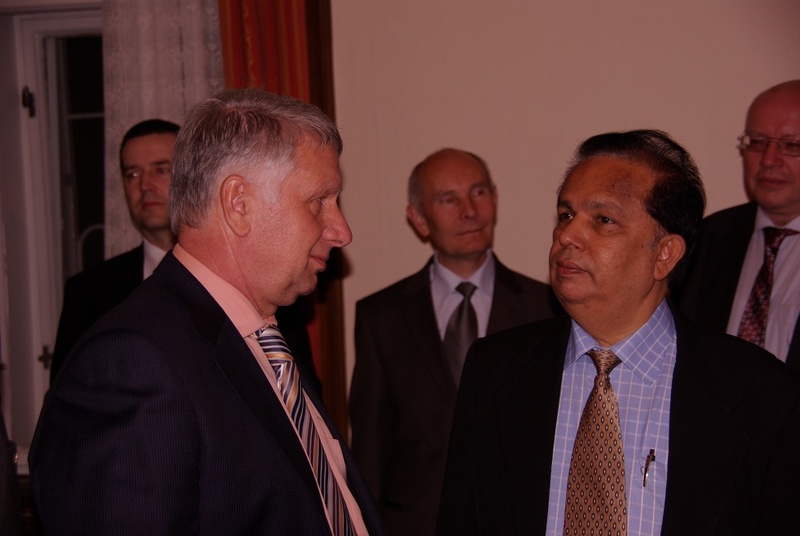 the ambassador of India, the alliance and the CVUT were asked to organise a seminar on the ocassion of the visit of the Chairman of the Indian Space Research Organisation to Prague, Mr. G. Madhavan Nair. The Chairman, was attending the EU Space Exploration conference near Prague and wanted to take advantage of his stay to meet members of the alliance and selected professors of CVUT. University projects and members of the alliance presented themselves to Mr. Nair and the Ambassador. After a lunch hosted by the rector of CVUT, the Paris representative of ISRO gave us an overview of the impressive scope and achievements of India in space technologies, and their applications for the benefit of the Indian society. A number of Czech technologies and projects elicited special interest of Mr. Nair. He suggested that a Czech delegation visit ISRO at the next opportunity to continue the discussion and meet their staff in person. Mr. Sobotka (Frentech MD) and Mr. Nair (ISRO Chairman) discussing business. This conference, organised by Business Bridge Europe, was attended by top representatives of EU (from Barroso down), ESA (the DG etc. ), directors of Astrium, TAS, OHB ...and a number of other space companies and institutions. The Czech official delegates were Karel Dobes, and Marek Mora, representative of the Czech government for European affairs. In an atmosphere of frustration from the Czech delays of approval of the Lisbon treaty, which were considered important for the successful progress of the two major EU wide space projects Galileo and GMES, Mr. Mora made an excellent speech which raised the optimism of those present. The event was an excellent opportunity to meet top industry representatives, distribute remaining CSA brochures and refresh older contacts. An EC representative repeated the announcement that the commission launched on 1st October 2009 the free EGNOS open service. Speakers hailed it as an important success towards the European navigation system. A member of the CSA is contributing to the ESA EGNOS development. CSA had a stand at this exhibition, co-organised by the Ministry of Industry and Czechinvest. We presented the achievements of the CSA in the short period that the Czech Republic is in ESA to an audience which included the director for Europe of the Mexican Foreign Ministry, leader of the activity to establish the Mexican space agency, representative of the Czech government cabinet etc. The CSA president and the leader of the future Mexican space agency exchanged their views and plans in a discussion panel. In subsequent discussion with the Ministry of Exterior, the CSA president agreed to put the Mexican parliamentarians in contact with the EISC which he did by passing the information to our representatives in EISC, Messrs. Nedoma and Hojda (see news item of 26th October 2009). CSA president was one of only two foreigners in a crowded conference hall in Valladolid, Spain, where we were following the direct broadcast of the launch of the Spanish satellite Deimos 1, commented by the Spanish astronaut Pedro Duque. Pedro had previously supported our space SME conference in Prague by sending a personal video message as well as videos from his flight in space. The launch was a success and will open to doors to commerical exploitation of satellite images by Deimos Imaging, company managed by Pedro. The reception following the successful launch gave opportunity to refresh working contacts with a number of Spanish businesses and institutions. The following day in Madrid, the CSA president met representatives of GMV, Technodata and INTA. 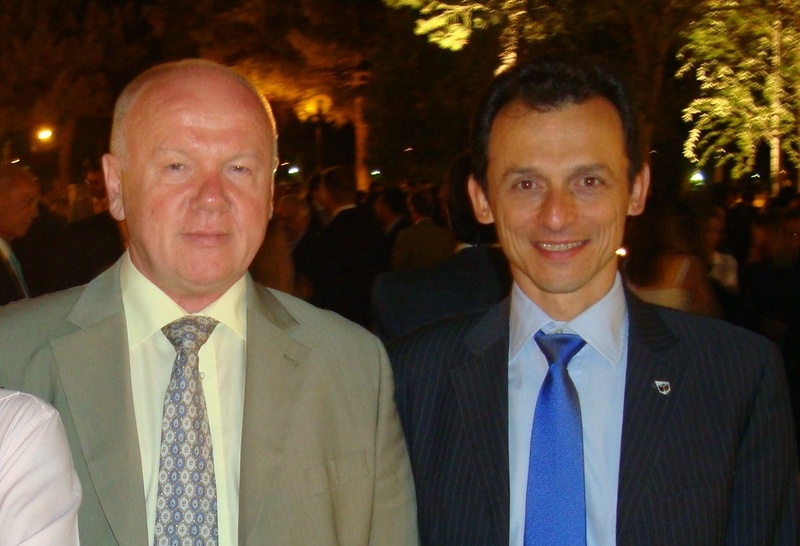 Petr Bares (CSA) meets Pedro Duque during the Deimos launch. The CSA president and another member Mr. Sysala travelled to DLR in Bonn, to meet members of the Arbeitskreis Raumfahr KMU and to make a presentation of its members and activities. Afterwards both answered a number of questions from the attending industry. Thanks to the support of Mr. Dobes, a number of CSA members attended the workshop organised by the Austrian Research Promotion Agency FFG. Alliance made a presentation about its members skiils and recent space projects. 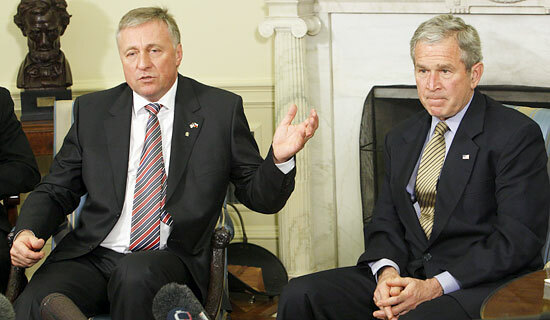 Follow up is planned in Prague at the end of 2009. The Czech Republic becomes the first of the new EU states to become a full member of ESA. The Czech Republic co-operated with ESA in science projects since the 1990's. On 1.1.2005 it started the PECS programme, which led to inclusion of some industry projects. 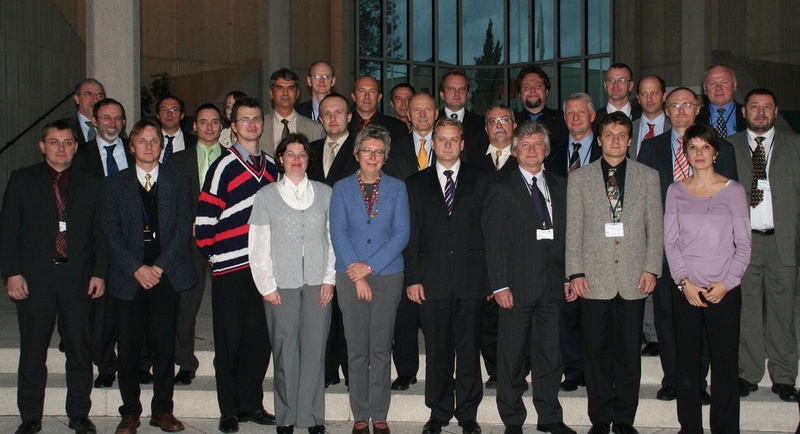 The upgrade from a co-operating state (ESA PECS programme) to a member state was accomplished before the initially foreseen 5 year PECS period finished, owing to the determination of the Czech government and strong push from their advisors, as well as the good results of the Czech participation during the transition programme. The Czech Republic not only committed the mandatory contribution of 5.4 MEUR but also subscribed to 13 optional programmes. The Czech Space Alliance was selected together with 4 other companies to accompany the Prime Minister, Minister of Defence, Minister of Interior and vice Minister of Foreign Affairs on his trip to Washington, Ottawa and Toronto. The common program included an impressive lecture by the Prime Minister in the Heritage Foundation, and a meeting of the industrial delegation with the vice president Gary Litman of the US Chamber of Commerce. This chamber has 3 million (yes) members and its sole activity is lobbying. The vice president took interest in our space activities and undertook to forward our materials to the Space Enterprise Council, which has some 30 members. Main focus though was Canada, as it is an associate member of ESA. Apart from the common programme, we discussed the impending ESA membership with the Canadian Space Agency and agreed further meetings in near future in Europe. On their recommendation we met the vice president of the Aerospace Industries Association of Canada (AIAC). This association has 400 members of which some 20 work in space disciplines. Further we met the vice president of MDA, one of the most important Canadian space companies, which is now about to be sold to the US. All the people we met agreed to pass the information about the alliance and the coming ESA membership to the relevant responsible persons and keep in touch.